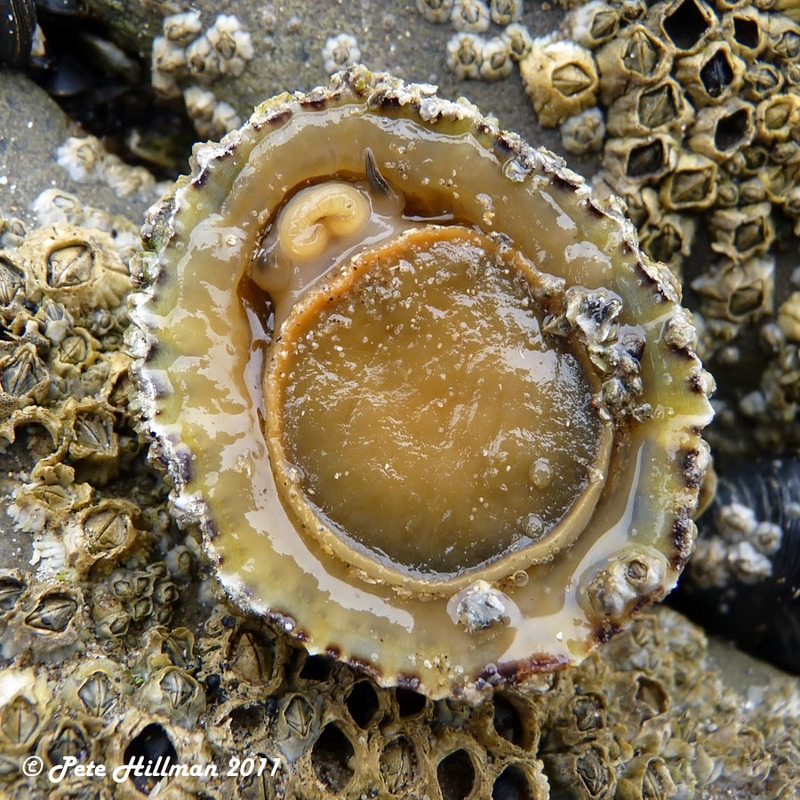 Found this great nature photography blog by Pete Hillman and he kindly gave me permission to re-blog this post about the limpet. Enjoy, and be sure to visit his site to enjoy his amazing photography. He likes to photograph seashells too! 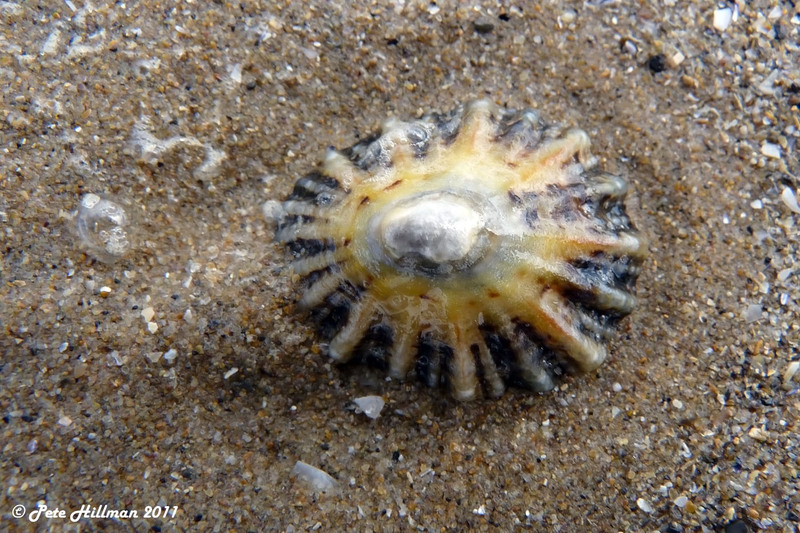 Have you ever wondered what the underside of a limpet looked like? Note the large muscular foot, the relatively small mouth above, and the tentacles either side. The Common Limpet has an ashen-grey or greenish-blue shell, sometimes with a yellow tint, and with radiating ridges. It is conical with an almost central apex. The shell is often covered in barnacles. The sole of the foot is yellowish or orange-brownish with a green tinge. Shell length 6cm. They are fairly long-lived, up to 15 years.